This is not a Dress Rehearsal – It’s your Life! - I've Decided – Our mission is your success! This is not a Dress Rehearsal – It’s your Life! Talk: This is not a Dress Rehearsal – It’s your Life! Assess key areas of your life. Where are you mentally, physically, emotionally, spiritually, and financially? Assess these areas so that you live your best life now. About the Speaker: Kathy Lehmann was born and raised in Chicago, Illinois. 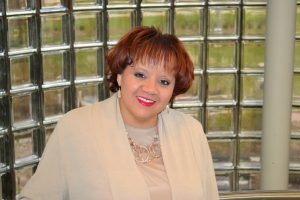 She joined Methodist Medical Center in 2008 as the Nurse Recruiter and has served in the positions of Employee Development Specialist, HR Business Partner and currently, Diversity & Inclusion Officer/OD Trainer. She received a Bachelor’s Degree in Liberal Arts from Columbia College in Chicago. Kathy has worked in Human Resources in the areas of: Recruiting, Training, Special Event Planning, Career Development, Employee Relations and Diversity & Inclusion. Kathy is married to Bryan Lehmann, recently celebrating 36 years of marriage and has one daughter, Lauren and one grandson, Bryson. Kathy is a parishioner at Holy Family Church in Peoria and serves as a Lector as well as being a member of the Cursillo Community.